The purpose of this project is to develop and research gamification and health games as a method promoting health in nursing. The aim is to increase knowledge and understanding and support behavior change, self-efficacy and self-esteem to promote health literacy. 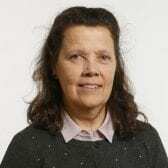 The research projects are carried out together with the departments of Nursing Science and Future Technologies of the University of Turku. We also participate in other projects led by other disciplines in the field of serious gaming. The aim is to empower children to make healthy choices in their daily lives and to improve the quality of health promotion and social work. In addition, the aim is to enhance the social inclusion of children from vulnerable groups. The EmpowerKids Tool is an interview-based game which facilitates health and social education for children. The aim of the project is to develop a game-intervention for 10 to 13 years old pre-adolescents. The goal of the project is to promote the physical activity (PA) and PA self-efficacy of pre-adolescents, and to evaluate the feasibility and effectiveness of the intervention. The aim of the project is to increase understanding on health literacy, and tobacco-preventive health education needs and expectations from adolescents’ perspective. 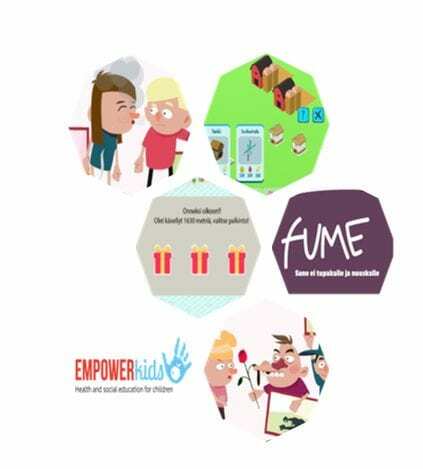 Further, the aim is to develop a digital health game that supports health literacy and a tobacco free lifestyle in 10 to 13-year-old early adolescents. Fume on mukana Terveyskylä.fi:n Nuortentalon sovellusten joukossa! The aim of Stepping-project is to develop a mobile assisted stepfamily intervention (StepApp- coaching®) for stepfamilies and assess its feasibility and effectiveness from the perspective of family wellbeing, relationships and functioning. StepApp-coaching® includes a peer-support group for stepcouples, guided by professionals (StepApp-coaches) and a gamified application for the whole stepfamily. The aim is to develop a serious game for preschool children (4-6 years old) intended to help them prepare for anaesthesia through education about what to expect and teaching them how to cope with anxiety.